Wesley Chan is a Manging Director @ Felicis Ventures where he has led investments in the likes of Canva, Flexport and Luma, just to name a few. 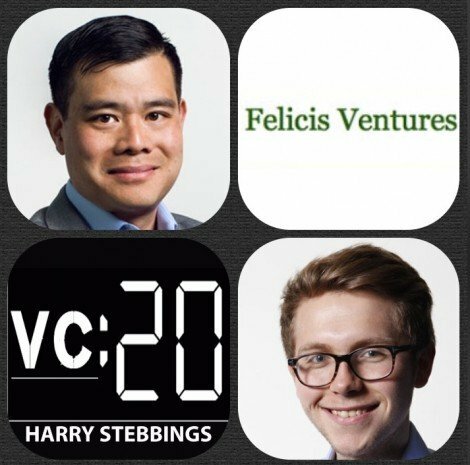 Prior to Felicis, Wesley was a General Partner @ Google Ventures. Before Google Ventures he was an early employee at Google, where he founded and launched Google Analytics and Google Voice, resulting in his being awarded Google’s Founders Award–the company’s most prestigious recognition–for leading the development of Google’s early client efforts, which led to the development of Google Chrome. Fun fact about Wesley he is a massive hacker and IOT enthusiast with over 100 connected devices in his home. 1.) 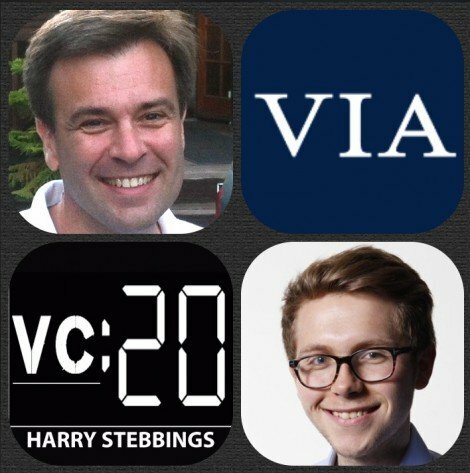 How Wesley made the transition from Foundering Google Voice and analytics to being a VC? 2.) What were Wesley’s biggest takeaways from leading investment at Google Ventures? When looking at Google’s investment in Nest, what makes Nest such a truly phenomenal connected device? 3.) Wesley previously said, ‘I look for patterns similar to Google Analytics in how if you build something great.’ What are those patterns and what does that thought process lead to in terms of thought outcome? What is a good example of this? 4.) Where does Wesley think we are on the programmable interface element of consumer hardware? What would he like to see change or improve in the space? 5.) How has Wesley seen the investor sentiment to hardware change over the last decade? What have been the rivers in the rising positivity of investing in hardware? As always you can follow The Twenty Minute VC, Harry and Wesley on Twitter here! Dennis Mortensen is the CEO and Founder of X.ai, the artificial intelligence driven personal assistant that lets people schedule meetings using plain English and nothing more than a CC to amy@x.ai. Their female persona Amy is so lifelike that users have asked her on a date at a rate of one request per month! X.ai is now one of the best funded AI startups having raised over $30m from our friends at FirstMark and a big thanks to Matt Turck for making the intro and from DCM, who also helped us with some of the questions for Dennis! 1.) How Dennis came to found X.ai and what the a-ha moment was for him? 2.) What did the training look like for X.ai? How long did it take? How much data did you have to painstakingly annotate? What is more important; data or algorithms? 4.) Question from David Cheg @ DCM: How will AI startups interact with giant corporates also investing heavily in AI research? 5.) How was the fundraising journey for Dennis? How did he approach it strategically? What challenges did he face? How did he go about choosing his investors? 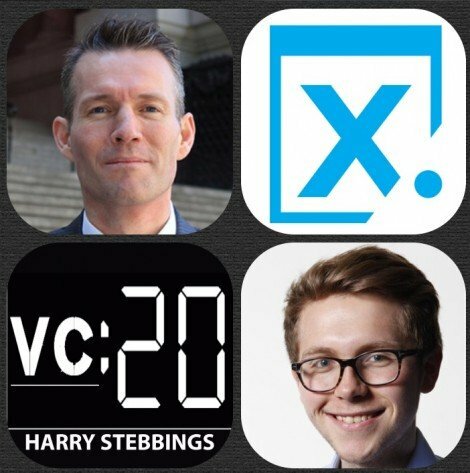 As always you can follow The Twenty Minute VC, Harry and Dennis on Twitter here! The Twenty Minute VC is brought to you by Leesa. Lees is like the TOMS Shoes or Warby Parker of the mattress industry. Here are 3 reasons why they are the best place to get your new mattress: Leesa has done away with the awkward mattress showroom experience by allowing a fully online experience, shipping to your doorstep for free. Their 10 inch mattresses come in all sizes and is crafted with 3 unique layers o foam including2 inches of memory foam and 2 inches of really cool latex like foam design to keep you cool. All Leesa mattresses are made 100% in the US or UK and they give you a 100 night trial, to make sure the mattress is perfect for you. Go to leesa.com/VC and enter promo code VC75 to get $75 off! Annie Kadavy is a General Partner @ Charles River Ventures. The prestigious VC fund that is now on it’s 16th fund and has backed the likes of Twitter, Yammer and Mailbox just to name a few. At CRV, Annie focuses on all things consumer and has either led or sourced their investments in ClassPass, Cratejoy, Patreon, Laurel & Wolf and DoorDash. 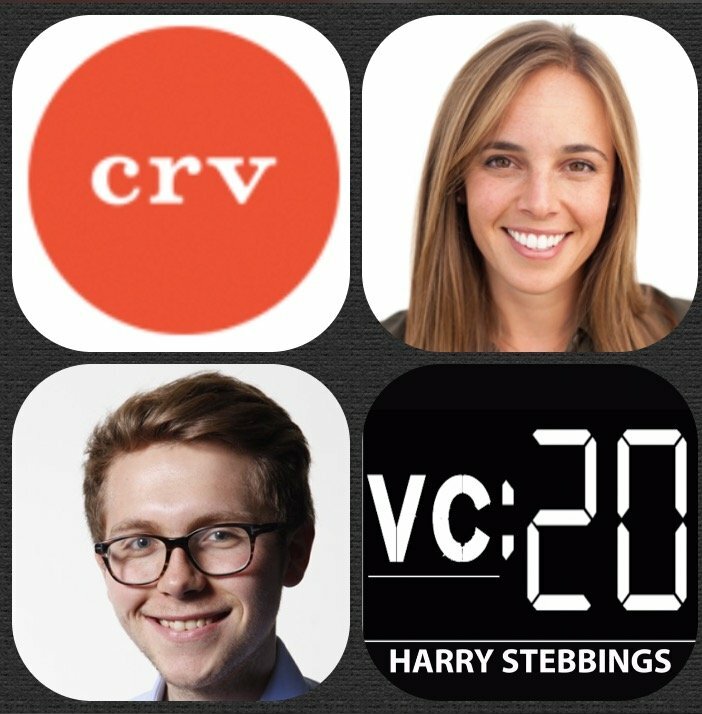 Prior to CRV, Annie spent time with SV Angel and Warby Parker. 1.) How Annie made her way into the world of VC? 2. )Why have we seen the explosion of marketplaces in recent years? What are the inherent challenges of two sided marketplaces; typically consumers and micro-entrepreneurs? Does Annie agree with Jeff Jordan in stating that these marketplaces need to nurture and manage conditions of perfect competition? 3.) What are the core components to growing traditional producer consumer marketplaces? How do they broach the chicken and the egg problem of supply and demand? 4.) Why is Annie so excited for the potential of bots? Will the transition to bots and conversational interfaces represent a major point of disruption or more of an evolution in the interface paradigm? 1.) How Andy made his way into the world of VC and what was the origin story behind the founding of Benchmark? 2.) 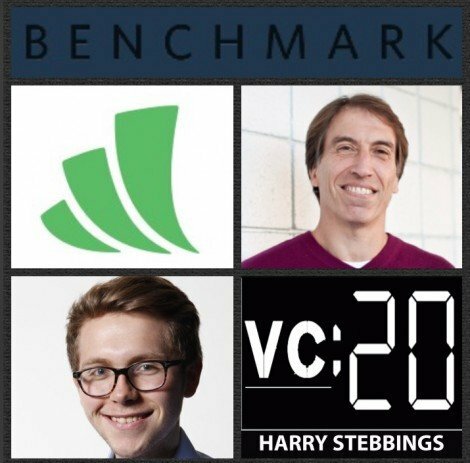 Andy took the opposite route to most having been a VC and then founding Wealthfront. So what does Andy make of doing VC first and then becoming an operator? 3.) Why does Andy believe Ivy League endowments are the best managed pools of capital? What do they do well and what separates the good from the great? 4.) Andy has worked with some of the world’s best CEO’s and board members, so what makes the best board member and what makes the best CEO? 5.) How has Andy seen the VC industry evolve and develop over the last 20 years? How has Andy seen his own investment decision making process and patter recognition alter over that time? If you’re interested in hearing more from Chris, you can also check out the incredible episode Notation Capital did with Chris here! Chris Douvos is Managing Director @ Venture Investment Associates (VIA) where he is a member of the Firm’s Investment Committee and has responsibility for the management of relationships with the funds’ managers and its limited partners, as well as the identification and development of new relationships for the Firm. Prior to joining VIA, he spent time at The Investment Fund For Foundations (TIFF). where he was responsible for over $1 billion. Prior to that, Chris worked on Princeton University’s endowment team. One of Chris’ most notable investments is his pre-first fund investment in First Round Capital. Chris is also the author of the fantastic blog, www.SuperLP.com, definitely check that out if you have not had the chance yet. 1.) How did Chris make his way into the world of limited partners? 2.) How does Chris respond to FOMO as an LP? Does it affect his decision making process? How does he look to avoid it? 3.) What patterns and processes has Chris developed to asses the ability of potential GPs? 4.) Is Chris concerned by the increasing time it is taking for startups to exit? How does this affect his think as an LP and cash on cash relationship to this asset class? 5.) 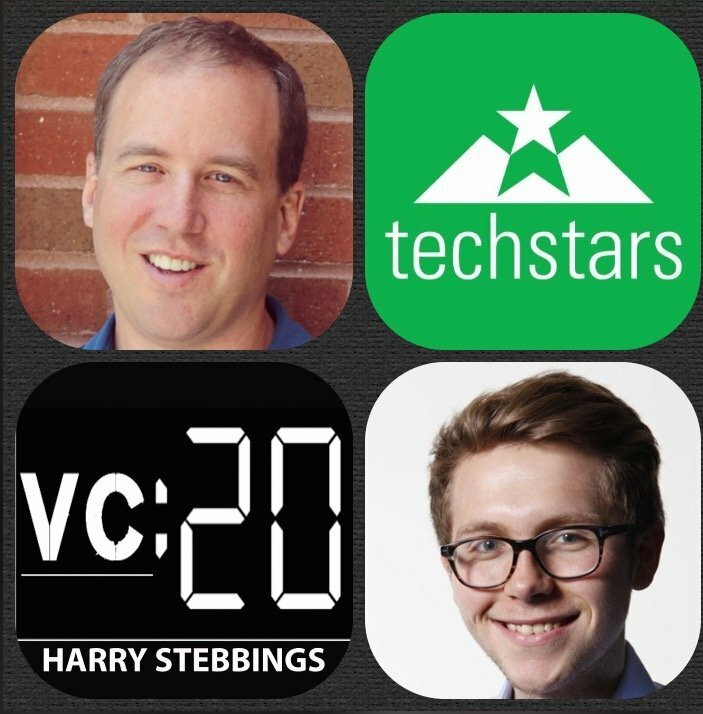 In 2013, Chris aid micro VC was the most exciting space in VC, where is he most excited for now? Where will we see innovation in the VC market? 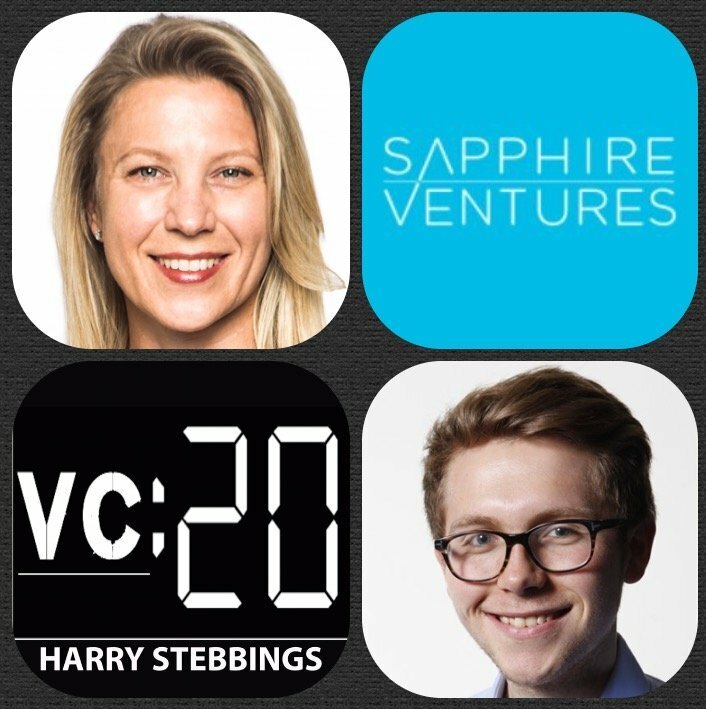 As always you can follow The Twenty Minute VC, Harry and Chris on Twitter here! Melanie Perkins, Founder & CEO at Canva the disruptive online platform allowing anyone to create professional quality designs. They have over 10m users from 179 countries and have funding from our friends at Shasta, Felicis and upcoming guests Blackbird Ventures and Airtree in Australia. Prior to Canva, Melanie was the Fusion Yearbooks which she grew to be the largest Yearbook publisher in Australia. 1.) How did Melanie come to found Canva, what was the a-ha moment for her? 2.) How has Melanie looked to scale the team whilst maintaining the same core startup values and company ethos? What are the strategies at play here? 3.) What does it take to grow in international markets? 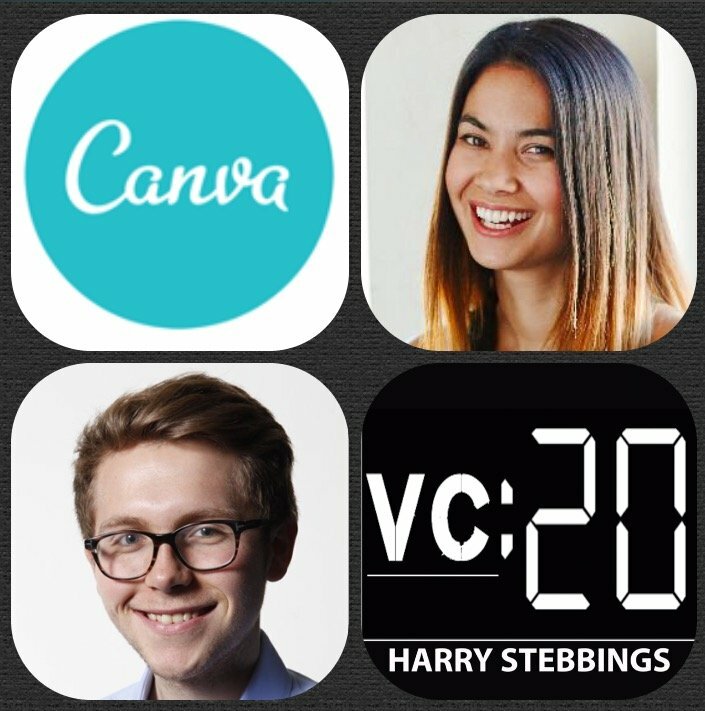 Where were the benefits of founding Canva in the isolated tech ecosystem of Perth?? 4.) What did Melanie look for in her investors? As a newbie to the VC scene how did she approach the fundraising process and what would she like to improve on? 5.) How can products that have both a free and a paid model offer enough in the free version to entice users, whilst retain enough for the paid to justify the price? 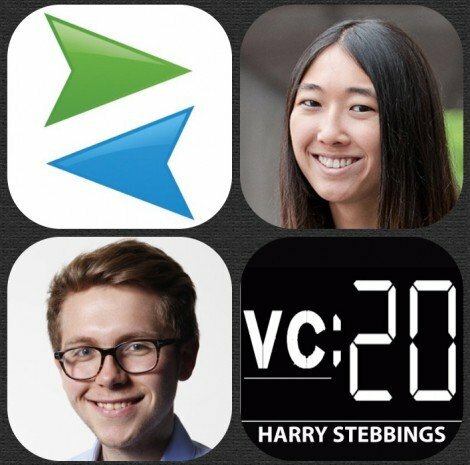 As always you can follow The Twenty Minute VC, Harry and Melanie on Twitter here! Nabeel Hyatt is a venture partner at Spark Capital where he invests in entrepreneurs using that rare combination of design and technology to transform markets. He is currently on the board of Spark Capital’s investments in Cruise (acquired by General Motors), Fig, Harmonix, Postmates, Proletariat, and Thalmic Labs. Nabeel was previously cofounder and CEO of Conduit Labs, which was sold to Zynga in 2010, where he then became General Manager up through the IPO. Prior to that he was variously cofounder, head of product, and CEO at a variety of hardware and software companies including MIT Media Lab spin-out Ambient Devices, Teamtalk (BSkyB), and Interphase. 1.) How did Nabeel make his way into the world of VC? 2.) 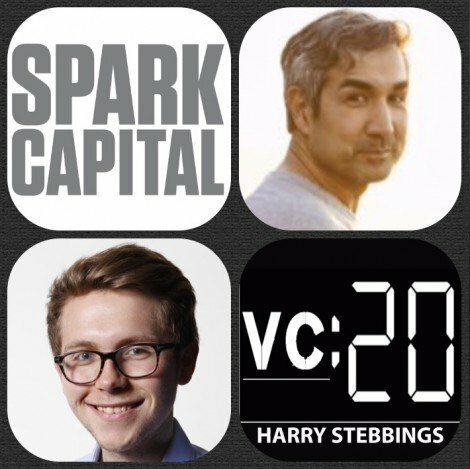 What are the biggest lessons Nabeel can apply from his time in the trenches to being a VC at Spark? How has his investment strategy and decision making changed over time? 3.) What were the biggest takeaways for Nabeel as an observer and investor in Oculus? 4.) 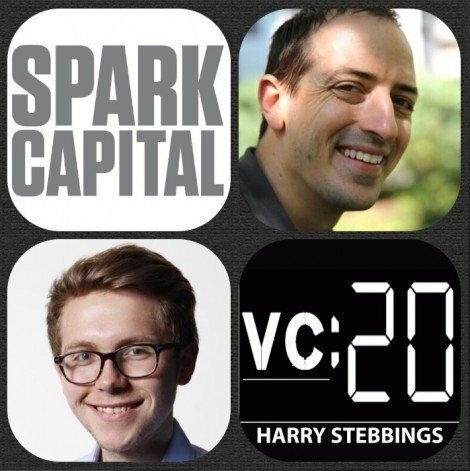 What is the story behind Spark’s investment in Cruise (recently acquired by GM)? How did Nabeel come to meet Kyle and the team? What was the product like? How did it evolve? 5.) What does Cruise’s acquisition mean for the autonomous car industry? What are the inherent challenges for the industry as a whole? How will they be overcome and what timeline are you placing on the industry to come into fruition? As always you can follow The Twenty Minute VC, Harry and Nabeel on Twitter here! Bijan Sabet is General Partner @ Spark Capital where he primarily invests in digital canvases and online communities for people at work and at play. Bijan led early investments for Spark in the likes of Twitter, Tumblr, Foursquare, OMGPOP and Runkeeper just to name a few. Before becoming an investor, Bijan led product management and business development at GameLogic (acquired by Scientific Games), Moxi Digital (acquired by Digeo) and WebTV Networks (acquired by Microsoft Corporation). 1.) How did Bijan make his way into the world of VC? 2.) How did the Twitter and Tumblr deals come about? What made you say yes? 3.) Looking at Bijan’s thesis, is it true that Bijan has a preference for first time founders? What are the commonalities of all great first time founders? 4.) Often first time founders nail product market fit but struggle to scale the operations to suit the growth of the product. How does Bijan as a VC lend to this situation? 5.) Does Bijan agree with Fred Wilson’s assessment of the consumer downturn? Why does Bijan think that David must beat Goliath in the end? 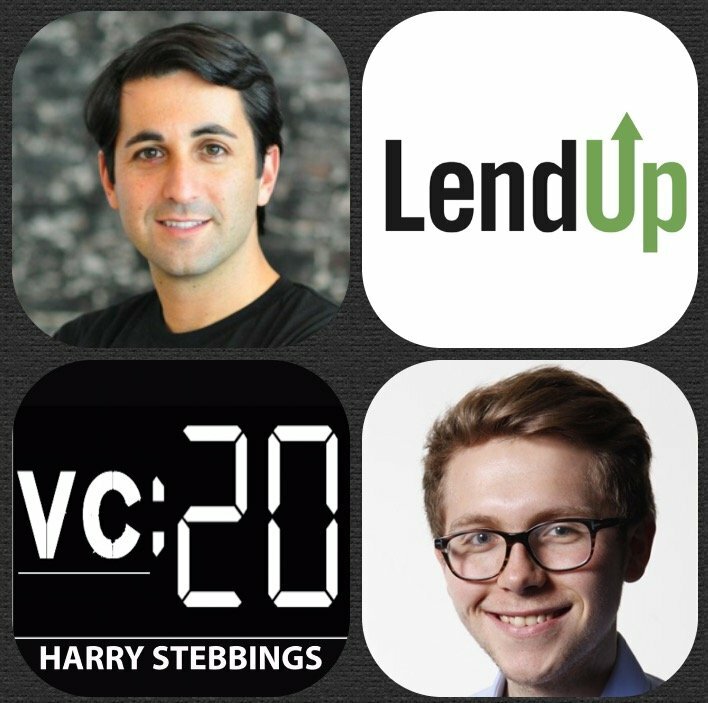 As always you can follow The Twenty Minute VC, Harry and Bijan on Twitter here! Jessica Mah is Founder and CEO of inDinero, which she started back in 2010 to help entrepreneurs with all their accounting and tax needs after going through the same challenges with her own businesses. Jessica has grown inDinero from zero to multi-million dollar revenues with over 100 full-time employees and has been featured in the Forbes and Inc 30 Under 30 Lists. The company has raised over $10M to date and is growing rapidly. Her goal is grow inDinero into being the leading accounting provider for businesses. 1.) How did Jessica come to found Indinero, an SMB accounting startup when she was at University? 2.) Why did Jessica decide to raise funding from angels over VC’s? What were the benefits of this? 3.) Why does Jessica believe that institutional capital is never patient capital? What additional value add do angels bring that VCs and HNW’s do not bring? 4.) How does Jessica like to involve her investors in the hiring process? How can founders do this and why should they? 5.) Why does Jessica believe it is better to have a board that works for the founder and not the other way round? Does this not lead to conflict? As always you can follow The Twenty Minute VC, Harry and Jessica on Twitter here! Nikhil Basu Trivedi is an early stage investor with Shasta Ventures, where he focuses on consumer, mobile and SaaS. Prior to joining Shasta, Nikhil was a member of the Insight Venture Partners team in NYC. Before making the move into venture, Nikhil co-founded Artsy in his sophomore year at Princeton University, Artsy now employs over 100 people and has raised over $50m in venture financing. One of Nikhil’s main passions is self driving cars and so today’s show will be centred around the proliferation of autonomous vehicles and what that means for us as a society? 1.) How did Nikhil come to be a VC in SF having spent his early years in the UK? 2.) Why is Nikhil so excited about self-driving cars? What is the enabler that is allowing this mass rise of the autonomous vehicle? 3.) What happens in a world of little mechanical engineering at all, where repairs can be achieved with software updates? How does this change the complexity of production? How does this change what the supply chain might look like? How does this change the capital structure required? 4. )How does the rise of the autonomous vehicles effect the sharing economy? Is Nikhil bullish on Lyft, Uber, Didi? With on demand, when will we reach a point of equilibrium when the supply of drivers that gets drawn in and the price that attracts consumers will be equivalent? 5.) Who is the leader, is this a winner take all, will the acquisition of GM and Cruise mean a dominance? Who has Nikhil been impressed by? 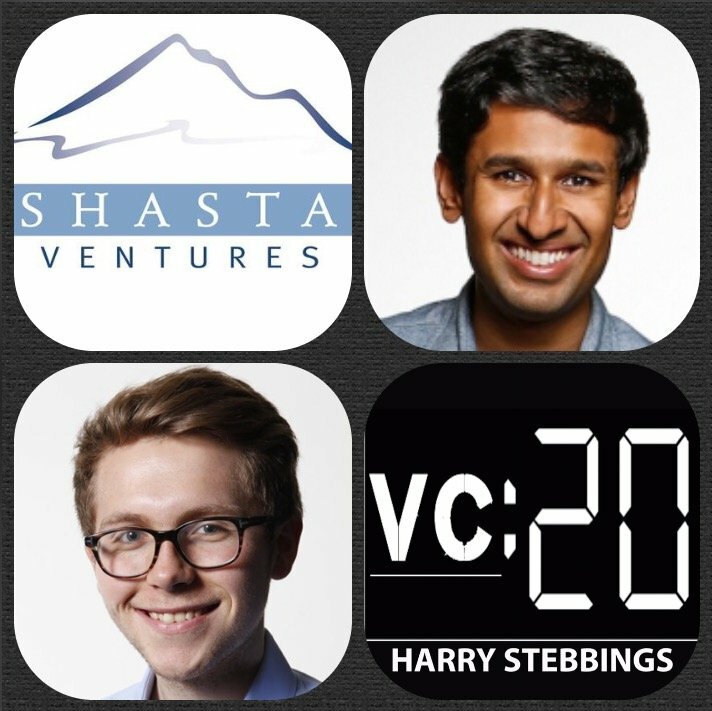 As always you can follow The Twenty Minute VC, Harry and Nikhil on Twitter here!